Are you a Fayetteville & Wilmington guru? Be heard and share your experiences by becoming an 910area.com Contributor. Learn More! Are you a local in the Fayetteville & Wilmington area? Join your community and Get Connected with others in your area. Join FREE! Escape the hot summer heat and nurse those sunburns with something stronger than aloe. When visiting Wrightsville Beach, have a drink at some of these local nightlife haunts. You're in for plenty of fun with the locals and can dance the night away on the sand! If you're looking for a classic dive bar with a beachy vibe, check out the Palm Room Bar. This bar in Wrightsville Beach has pool tables, TVs, $2 beers, and live music on most nights . What's better than that? The Palm Room Bar is also open until 2 a.m. every night! Known for serving up strong drinks and excellent service, it's a solid dive bar with in arm's reach of the beach. Wrightsville Beach Locals flock to the Banks Channel Pub and Grille for a guaranteed great night filled with delicious food and coastal cocktails. From the Seafood Boil to the Catch Nachos, these dishes pair perfectly with a local beer or cocktail before a night out on the town. With views of the marsh while seated out on their patio or taking on the hustle and bustle while seated at one of their two bars, Banks won't break your bank and is perfect for a night out in Wrighttsville Beach. Other than the delightfully shark-themed cocktail names such as the Jaws Colada and the Mako Margarita, Shark Bar and Kitchen is a personal favorite for locals and tourists alike when visiting Wrightsville Beach. If you're looking to start your night early, check out their off-season happy hour specials for $6 house margaritas as well as half-off oysters on the half shell. The motto at Shark Bar is "simple food, done well," and they live up to this! Shark Bar also has an app now where you can collect points every time you drink and dine with them! With 15 beers on taps and a variety of wines, Waterman's Brewing in Wrightsville Beach has a lot to offer anyone for a night out with your beaches. Waterman's also offers weekly specials everyday such as kids eat free on Mondays and 50-cent wings on Wednesdays. Waterman's also has a full food menu serving beer braised brats and grilled salmon. If your night out requires a hair of the dog the next morning, Waterman's Brewing also has brunch on Saturday and Sunday mornings. The perfect concoction of dive bar and beach bar, look no further than Lager Heads. Stop in for a quick drink and bring your furry friend as dogs are welcome on their patio. If you're lucky, you'll catch live music performances which are often scheduled on their Facebook page ahead of time. It's plain and simple, Lager Head's serves up traditional drinks in a casual setting. If you're looking for a wild night out with clubs and strobe lights, Wrightsville Beach may not be the place for you. However, what Wrightsville Beach lacks in flash, their local bars and restaurants definitely make up for it with their laid-back, coastal atmosphere and relatively cheap drinks or crafty cocktails. 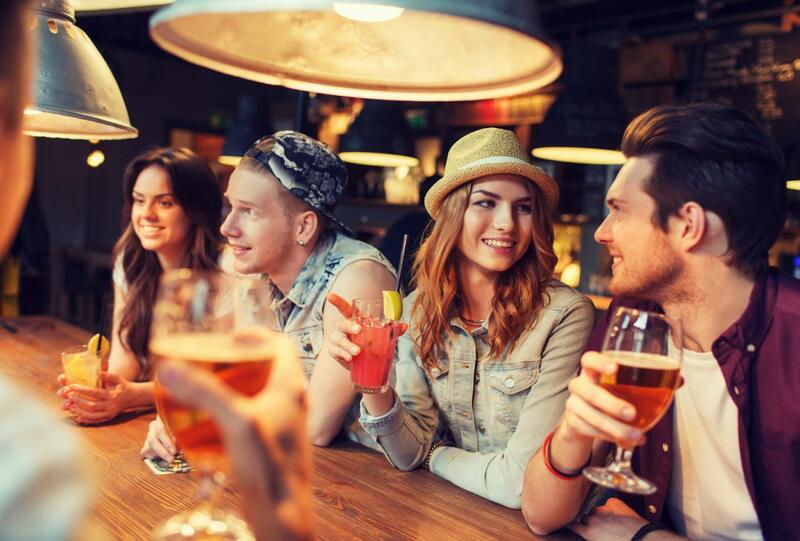 For more on nightlife in Wrightsville Beach, register on 910area to stay up-to-date on everything in the Wilmington and Fayetteville area.